Music has the power to unite and that is just what we’re celebrating in the 2019 Come-See-Me Parade! “Rocking Rock Hill” will showcase music and bands from every era and genre of music. From Elvis to Panic at the Disco, we want to hear and see them all! 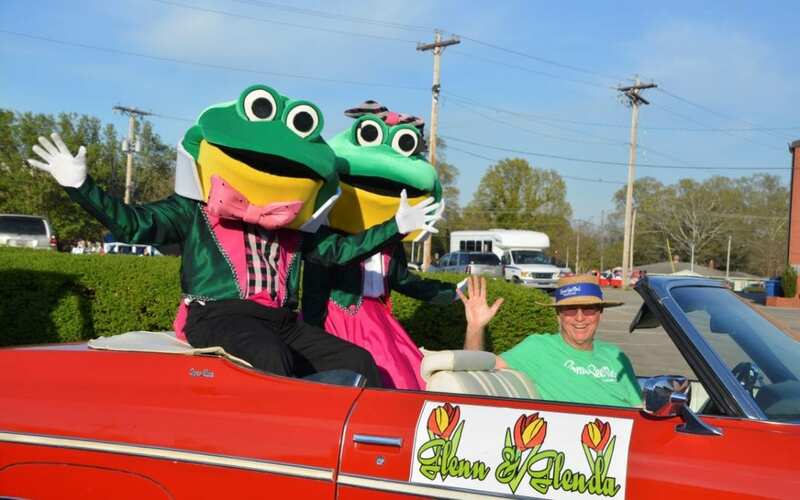 Join Glen and Glenda for this year’s Come-See-Me Parade to celebrate everything we love about music. Entry forms are available at comeseeme.org and must be submitted by Friday, March 15. The parade committee will review entry forms for theme adherence and creativity. Please include the genre of music you intend to play or represent. 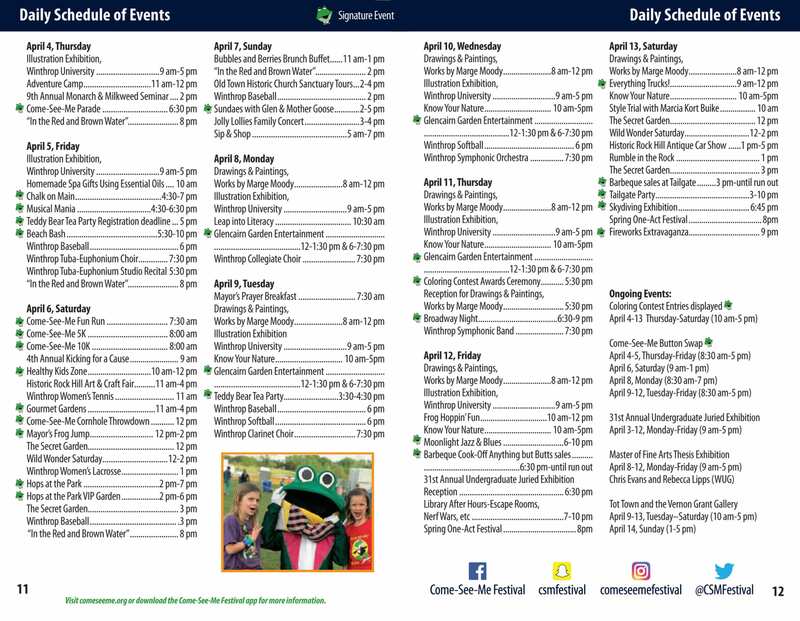 Entry fee for each parade unit will be $50 and is due by Monday, April 1st. The parade will begin at 100 East Main Street, then continue up Main Street. The route will turn right onto Elizabeth Lane at Fountain Park, then right on Black Street. The parade will end at the Black Street and Saluda Street intersection. Thank you in advance for leaving your pets at home. Participants may not throw items from floats or vehicles. Canceled in the event of rain.